Jargaltulga Erdenebat assured Rio Tinto’s copper chief Arnaud Soirat that Mongolia would honor its past agreements with Rio Tinto, and called on the company to do the same. “For Oyu Tolgoi, the Mongolian policy to work together with Rio Tinto is already set,” he was quoted as saying in a statement posted on Mongolia’s official government website <zasag.mn/news/view/14686>. “You need to comply with contract obligations and speed up the momentum of work,” he told Soirat, adding that Oyu Tolgoi should procure construction materials like cement from Mongolian service providers only. 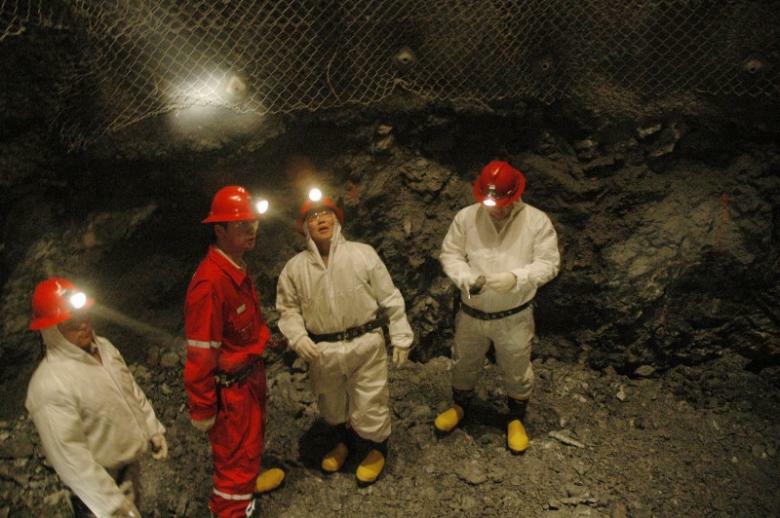 The launch of Oyu Tolgoi in 2009 helped kickstart a mining-driven economic boom in Mongolia, but it quickly sparked concerns that the country’s resources were being sold off on the cheap, and legislators repeatedly tried to renegotiate the terms of the original agreement in a bid to raise Mongolia’s stake. Rio Tinto’s majority-owned Turquoise Hill Resources has a 66 percent stake in the mine, with the Mongolian government holding the remainder. Dale Choi, an analyst for research firm Mongolian Metals & Mining, said the prime minister has made it clear that Mongolia would not repeat past mistakes by interfering with the running of Oyu Tolgoi. “The prime minister understands that the more quickly Oyu Tolgoi develops, the more profitable it is for the government,” he said. The expansion of Oyu Tolgoi was delayed for two years amid concerns about rising costs, and revenues have suffered as a result, with the project still dependent on lower-quality ore dug from its open-pit mine, which has been in operation since 2013. Work on the lucrative underground phase finally got underway this year, and Rio Tinto has received $5.3 billion in project financing from banks with the option to draw down an additional $1.6 billion. Elected in a landslide in late June, Mongolia’s new government has pledged to restore the confidence of foreign investors. It is now grappling with a 20.6 percent budget deficit, a currency in freefall and a decline in coal and copper demand from its major customer, China.